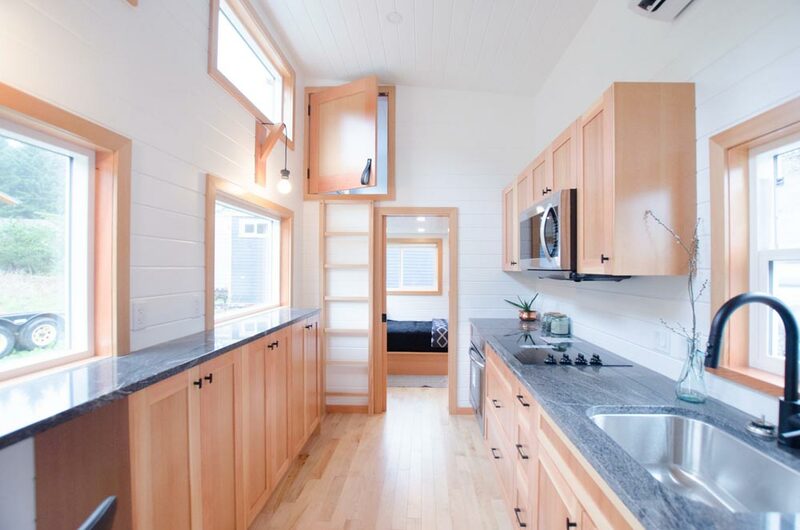 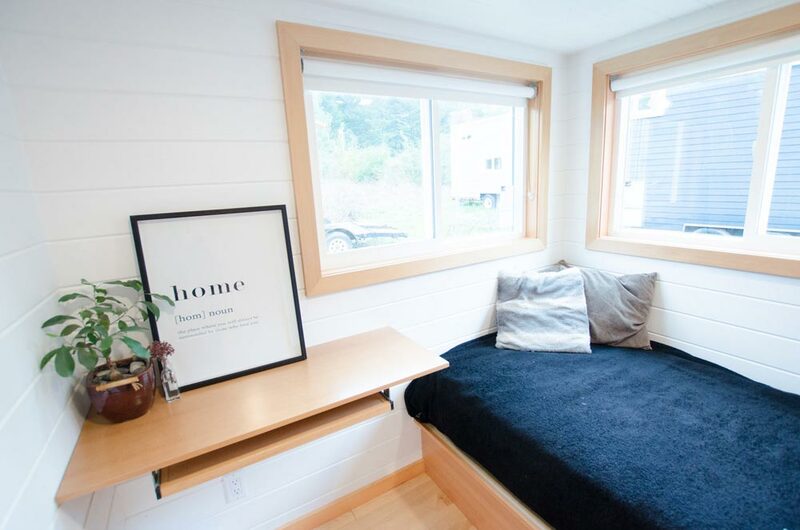 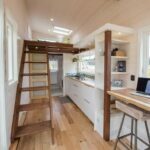 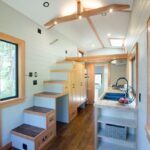 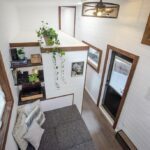 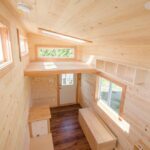 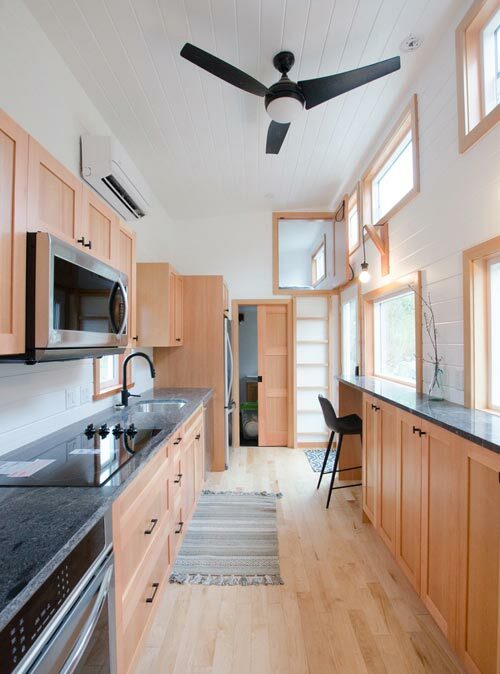 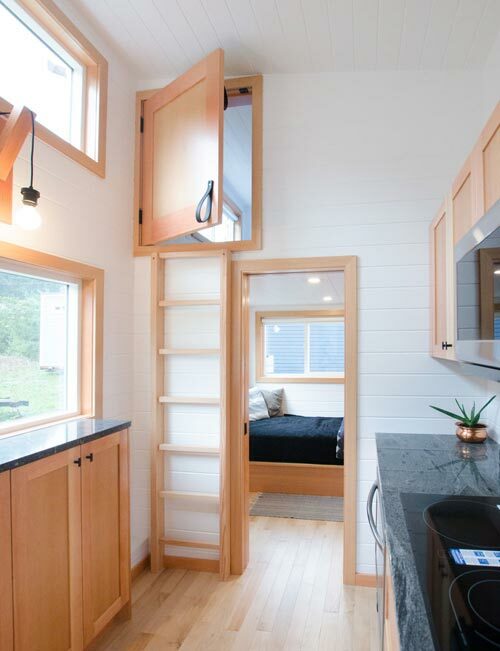 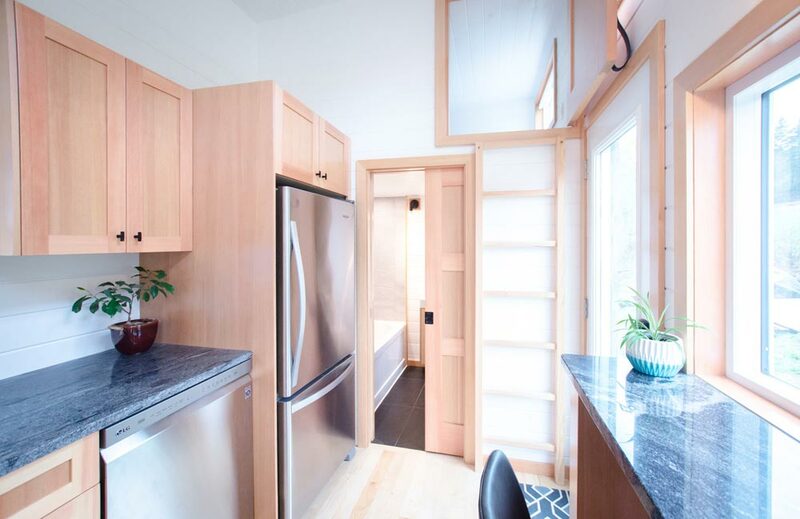 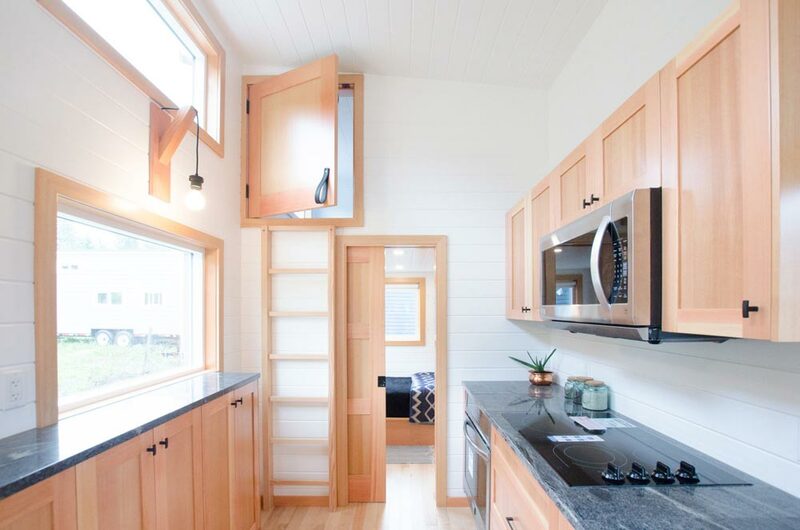 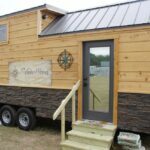 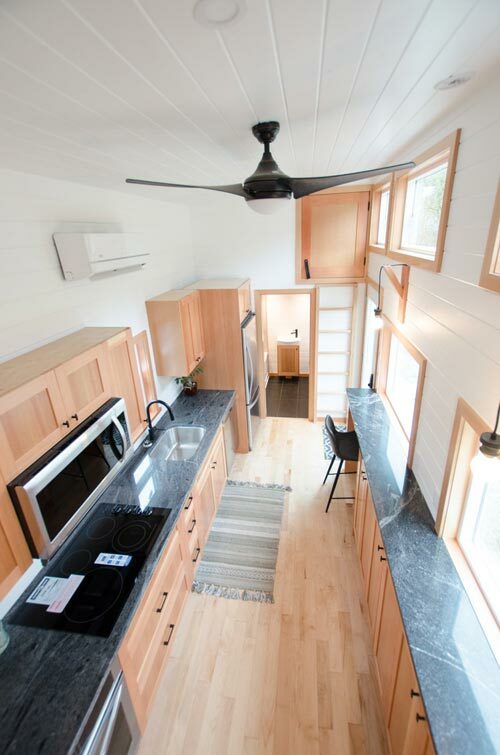 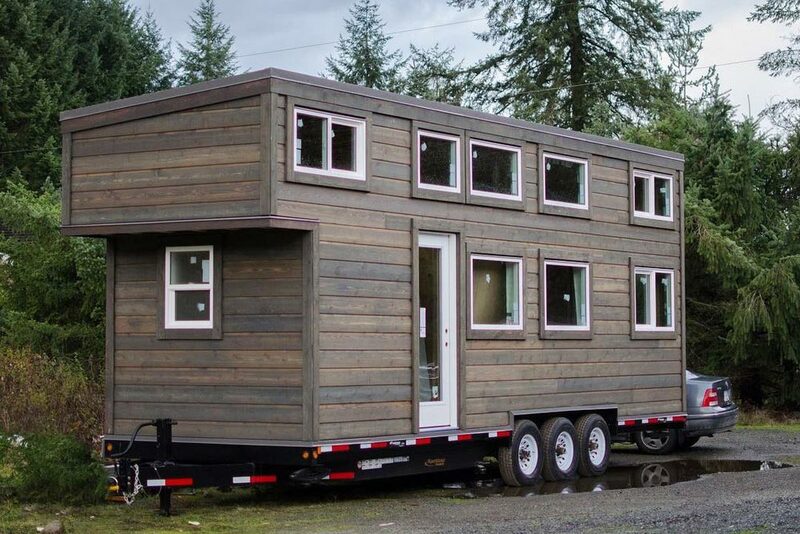 The Albatross is a three bedroom, 28-foot tiny house built by Rewild Homes in Nanaimo, Canada. 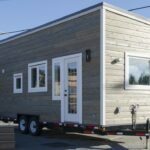 The home is part of a set of twin homes that were shipped to Hawaii. 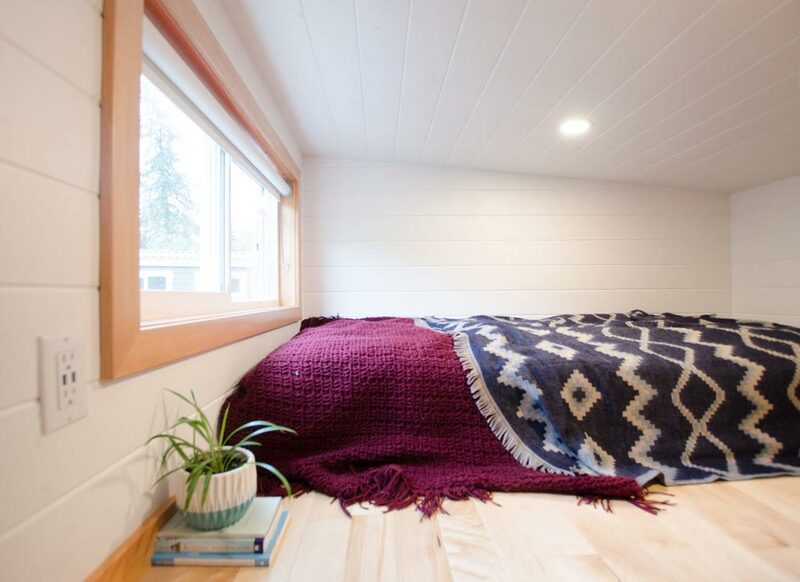 The owner will connect them together with a covered deck to create an outdoor living space. 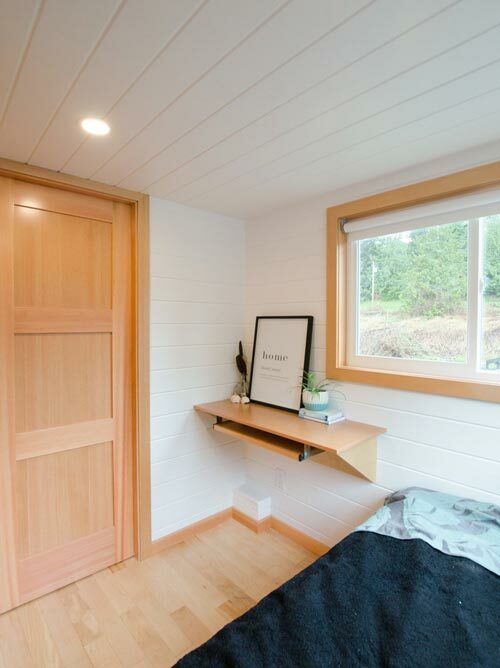 The main floor master bedroom has a built-in wardrobe, desk with keyboard tray, and pocket door for privacy. 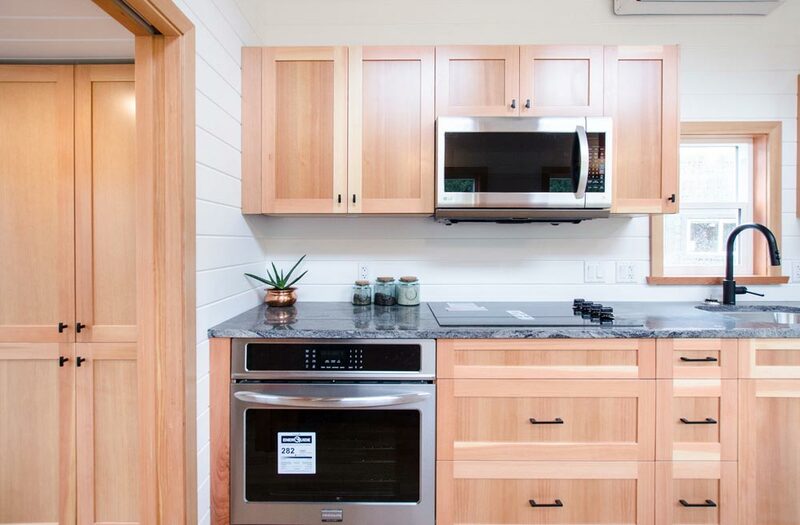 The doors and cabinetry throughout the house are made with locally sourced fir. 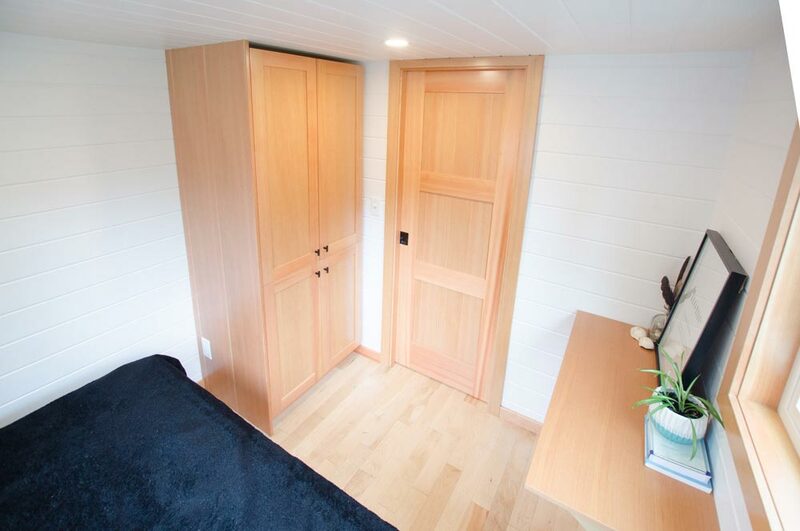 Along with the master bedroom, the Albatross has two private lofts that can be used as bedrooms, a home office, storage rooms, etc. 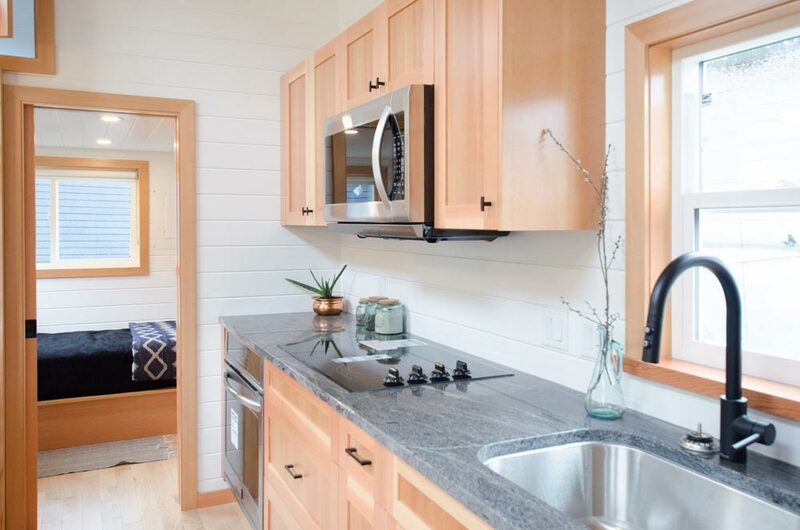 The kitchen features 18 linear feet of granite countertops, upper cabinets, a cooktop, stove, dishwasher, refrigerator with bottom freezer, microwave oven, and large single bowl sink with gooseneck faucet. 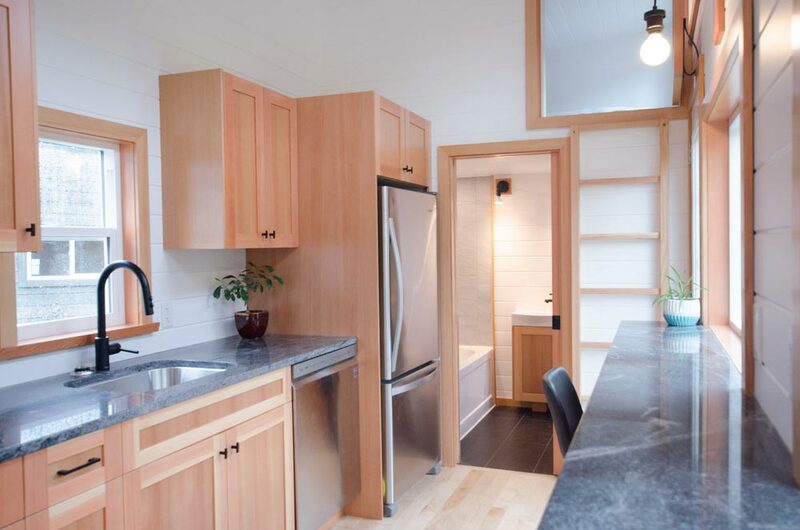 Across from the kitchen is a large set of cabinets with granite bar top. 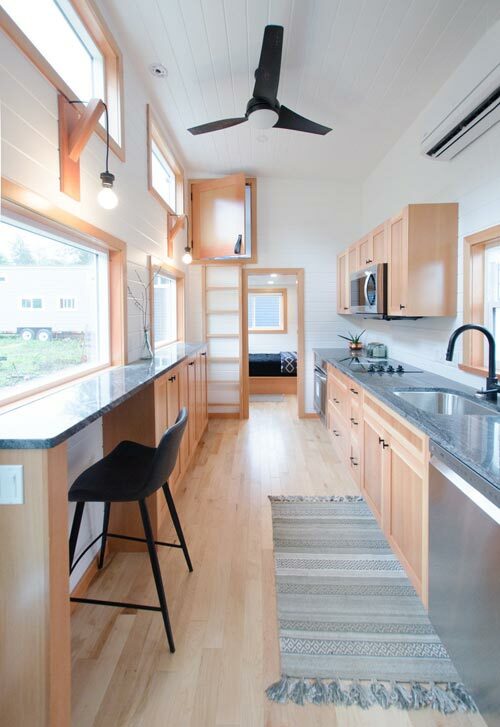 One section of the bar has a fold down table large enough for four people. 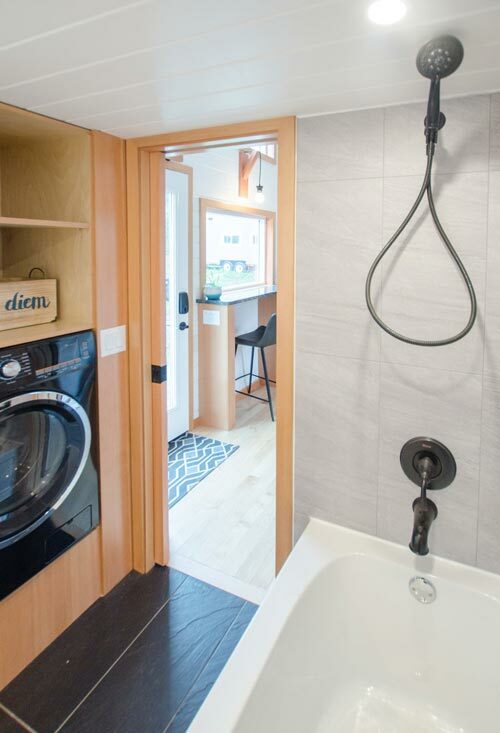 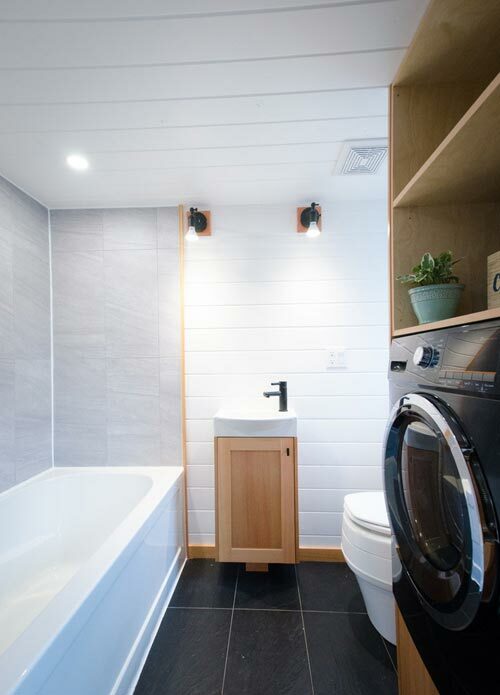 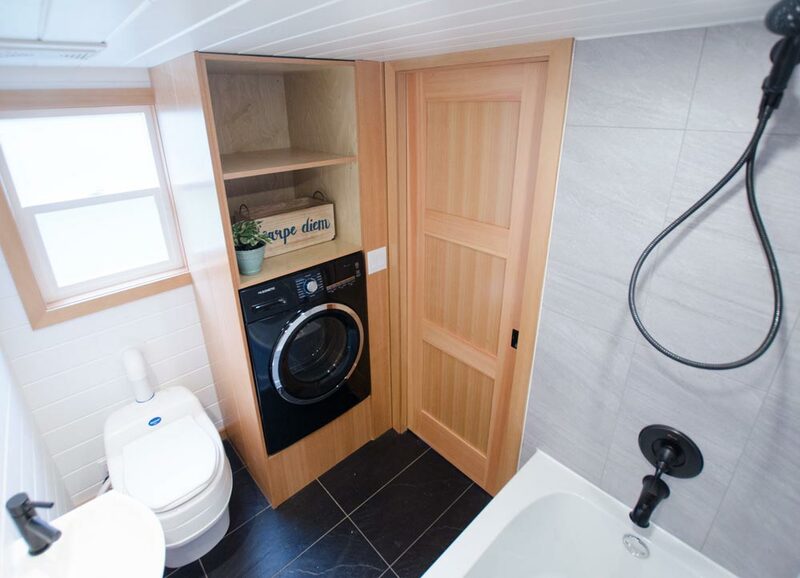 In the bathroom is a full size bathtub, washer/dryer combo with storage above and below, a modern sink, and composting toilet. 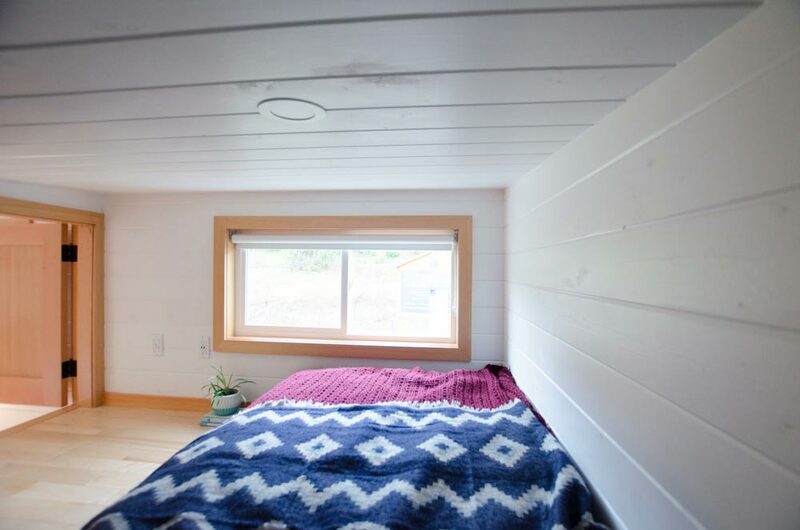 For more information about the Albatross, please contact Rewild Homes.